Timeline Blocks for Gutenberg is a Gutenberg add-on with a bunch of additional style for post layouts with timeline presentation that contains unique templates. This is a standalone Gutenberg solution to give wow design possibility for your blog posts with clean design and full responsive layout. 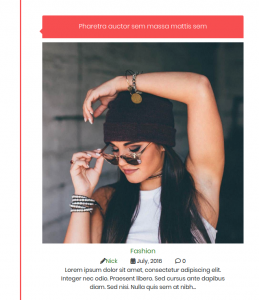 Timeline Blocks for Gutenberg is a Gutenberg add-on with a bunch of additional style with timeline presentations and that contains unique templates for presentation. This is a standalone Gutenberg solution to give wow design possibility for your blog posts with clean design and full responsive layout. 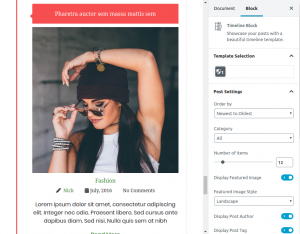 You can say that Timline Blocks will be your Ultimate History Showcase for new Gutenberg Editor. Multiple Layout types are available to showcase posts in different styles. Sort your WordPress posts to different manner from newest to oldest, A –> Z and vice versa. All layouts/templates are available with possible options to modify with your requirements. With Grid Layout, you can manage your post style’s columns from 2 to 4. It’s a easy to download and easy to install from beginner level to expert developers. Complete documentation available to understand plugin flow and block options. Is Timeline Blocks free to use? Yes! `Timeline Blocks` core features are absolutely free. Please write us an email to info@techeshta.com. Our plugin following WordPress core standards to develop premium plugins, and we are giving useful updates from our end too. We know the value of code and UI/UX implementation.